Decorative Lighting Posts made by Metal and Cast Iron. Pole for Street and Park Lighting. A wide variety of historically inspired and transitional style outdoor luminaires are available. Styles include acorns, spheres, and pole lanterns with many decorative enhancement options. Outdoor Luminaires are designed to integrate aesthetically with posts and arms and provide a variety of form factors and scale to provide flexibility in your streetscape and area design. Choose from tenon mount post top outdoor luminaires as well as pendant mounted outdoor luminaires that are suitable to a wide variety of applications. Our best seller garden and terrace furniture set. Supports and backrest ornament are made from cast aluminum and the seat is made from acacia wood. The wood is specially treated for outdoor environment, made to last under extreme conditions. The number of chairs and benches depends on the variant that you choose, but you can also buy any of the parts separately. Park Lighting Fixtures - Come Spring! Due to many products combination and variations many of KroneMag's products are made on client order. Production time varies on product and quantity. The cast iron lighting post 2H-W3 is made by cast iron. This decorative cast iron lighting post is best suitable for historical restoration, parks, landscapes and pedestrian areas. The cast iron lighting post is powder coated. The coating is applied electrostatically and is then cured under heat. It is used to create a hard finish that is tougher than conventional paint, which gives a higher resistance over time. For special orders (with additional cost depending on quantity) please contact our Sales Department and refer to our RAL Color Chart. The cast iron lighting post can be fixed to the ground through the flange with anchors ( the anchors are not included, but is possible made ). Delivery terms: between 2 and 4 weeks from valid order. This term depends on stock, quantity, color and other requirements. For more details please contact our Sales Department. Shipping fee: depends on beneficiary's location. For orders above +10 pieces please feel free to contact our Sales Department for special offer. Purchases are delivered by different transporters / couriers or own vehicles. The cost of delivery is autocalculated by the website software based on volume / weight / destination. We would like to pass on the maximum benefits to our customers we are delivering the goods / products also on weekends if it is demanded and can be done. For orders booked between Monday 8:00 AM till Friday 15:00 Pm (+2 GMT) you will receive an answer about the transport date in the same day. The above mentioned timings are estimated based on the volumes and they are not the standard delivery timings. Whilst we make every effort to deliver all your goods in the agreed time, however there would be some unforeseen instances like Traffic Jams, Bandhs by political parties, Vehicle breakdown, etc, which could hinder the delivery. If we fail to deliver on time KroneMag will not be liable in part or in full due to circumstances beyond our control. All goods must be signed for on delivery by an adult aged 18 years or over. If we attempt to deliver your order to the delivery address but there is nobody at the delivery address to accept your order, the delivery person will leave notification of attempted delivery and you will need to contact our call center to re-arrange delivery. Maximum attempts to re-arrange the delivery is twice and for every re-arranged delivery you would be charged. In case you have already paid for the products and the delivery could not be completed, we would issue you a credit note by deducting the delivery charges. We can deliver through courier or carrier. Shipping all over Europe. Please contact us for inquiry. Cast Iron Lamp Post 2H-O1The cast iron lamp post 2H-O1 is made by cast iron. This decorative cast ir.. Cast Iron Lighting Post B1-W2The cast iron lighting post is best suitable for historical restoratio.. Cast Iron Lighting Post G3-C31The lighting post G3-C31 is made by cast iron. This decorative cast ir.. Cast Iron Lighting Post DH-N3The lighting post DH-N3 is made by cast iron. This decorative cast iron.. Cast Iron Lighting Post UNIO-M87 CS 31The lighting post UNIO-M87 CS 31 is made by cast iron and stee.. Cast Iron Garden Bench OXFORD-FR This cast iron bench is a classical and stylish choice for garden, ..
Garden Bench SANOVE-FR is made of cast iron and wood slats.The garden bench is a classical and styl.. Cast Iron Garden Lighting Post UNIO-M87-CS31The lighting post UNIO-M87-CS31 is made by cast iro.. Cast Iron Garden Lighting Post VILLA-2The lighting post VILLA-2 is made by cast iron. This cast iron.. 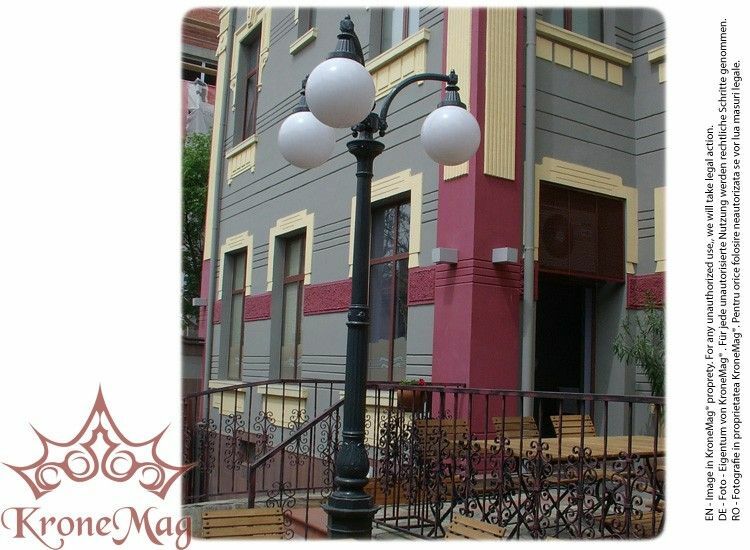 Cast Iron Lamp Post UNIO-M1302-1CThe l post UNIO-M1302-1C is suitable for historical restoration, p..
Small Lighting Post MS-1B-G250The small lighting post is made by cast iron. This cast iron decorati.. Cast Iron Street Bollard 950B.1The Street Cast Iron Bollard are used for marking traffic, par.. Outdoor Wall Mounted Lantern ME503.PALASIOThe outdoor wall mounted lantern ME503 is made of cast ir.. Outdoor Waste Bin URBAN 1.CS The outdoor litter bin URBAN 1.CS completes the street furniture in .. Outdoor Wall Mounted Lantern LG105.G300The outdoor wall mounted lantern LG105.G300 ..